"Rawdah Abdisalaam" is an online recruiter for ISIS. She is believed to currently operate out of Raqqa, Syria. Before her departure to the self-proclaimed Islamic State in 2014, Abdisalaam resided in Seattle, Washington. Global media outlets have suggested that she is British or Dutch, although in a recent conversation with Channel 4 News, she claimed she was Finnish.“Senior female ISIS agent unmasked and traced to Seattle,” Channel 4 News, April 28, 2015, http://www.channel4.com/news/female-isis-women-girl-umm-waqqas-unmasked-seattle. On her Twitter account, Abdisalaam (also known on Twitter as “Umm Waqqas”) has outlined the religious imperatives of waging jihad and encouraged Muslims to take up arms with ISIS. Abdisalaam has accumulated over 8,000 followers, and has instructed them to travel to Turkey and contact certain guides who would shepherd them across the Syrian border into ISIS-controlled territory. Abdisalaam has been in touch with numerous recruits on the eve of their departure.“Senior female ISIS agent unmasked and traced to Seattle,” Channel 4 News, April 28, 2015, http://www.channel4.com/news/female-isis-women-girl-umm-waqqas-unmasked-seattle. Abdisalaam also reportedly helped to form a group of ISIS “police women” known as the Al Khansa Brigade.John Hall, “How 'up to 60' women rule ISIS's capital by fear,” Daily Mail, December 4, 2014, http://www.dailymail.co.uk/news/article-2858819/Up-60-British-Jihadette-women-rule-ISIS-s-capital-fear.html. 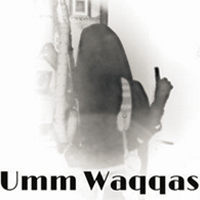 @_UmmWaqqasUmmWaqqas AlMujaheda, Twitter, accessed September 17, 2015, https://twitter.com/UmmWaqqas_. @Rawdah_Abdi“Senior female ISIS agent unmasked and traced to Seattle,” Channel 4 News, April 28, 2015, http://www.channel4.com/news/female-isis-women-girl-umm-waqqas-unmasked-seattle. @Rodaa27“Senior female ISIS agent unmasked and traced to Seattle,” Channel 4 News, April 28, 2015, http://www.channel4.com/news/female-isis-women-girl-umm-waqqas-unmasked-seattle. @UmmWaqqas_UmmWaqqas AlMujaheda, Twitter, accessed September 17, 2015, https://twitter.com/UmmWaqqas_. Rawdah Abdisalaam“Senior female ISIS agent unmasked and traced to Seattle,” Channel 4 News, April 28, 2015, http://www.channel4.com/news/female-isis-women-girl-umm-waqqas-unmasked-seattle. "Rawdah Abdisalaam" is an online recruiter for ISIS. “1.) Listen loosers, the Mujahedeen don’t need your advice that is defeated under the feet of fake western culture.” (Tweet)Umm Waqqas, Twitter post, September 30, 2015, 5:58 a.m. “7.) Stay with the Jihad and continue to kill and fight every enemy of Allah. The caravan is moving and the dogs are barking.” (Tweet)Umm Waqqas, Twitter post, September 30, 2015, 5:43 a.m.
“Indeed, the most truthful speech is Allahs book and the best guidance is that of Mohammed sallalahu aleyhi wa sallum” (Tweet)Umm Waqqas, Twitter post, September 29, 2015, 9:29 a.m.
“[The media] get paid by the Jewish isrealis [sic] to keep their mouth shut about certain topics.”“Senior female ISIS agent unmasked and traced to Seattle,” Channel 4 News, April 28, 2015, http://www.channel4.com/news/female-isis-women-girl-umm-waqqas-unmasked-seattle. “May Allah bless our Mujahideen ... May Allah grant them victory over their enemies, & bless the Islamic State!”“Senior female ISIS agent unmasked and traced to Seattle,” Channel 4 News, April 28, 2015, http://www.channel4.com/news/female-isis-women-girl-umm-waqqas-unmasked-seattle. “The Kufar [nonbelievers] should be worried about the first generation of kids that will be born within the Islamic State.”“Senior female ISIS agent unmasked and traced to Seattle,” Channel 4 News, April 28, 2015, http://www.channel4.com/news/female-isis-women-girl-umm-waqqas-unmasked-seattle. “The wives my husband will get in Jannah [paradise] are beyond perfecto In Shaa Allah.... Best co-wives any girl could ask for.”Robert Mendick and Robert Verkaik, “British female jihadis sign up to the Islamic State's all-women police force,” Telegraph, September 7, 2014, http://www.telegraph.co.uk/news/uknews/terrorism-in-the-uk/11079386/British-female-jihadis-sign-up-to-the-Islamic-States-all-women-police-force.html. In reference to the immolation of Jordanian pilot Moaz al-Kasasbeh: “[It is] an eye for an eye.”Channel 4 News, “Senior female ISIS agent unmasked and traced to Seattle,” April 28, 2015, http://www.channel4.com/news/female-isis-women-girl-umm-waqqas-unmasked-seattle.